This is a very comprehensive credit card reform legislation which aims to protect consumers from unfair credit card billing practices. The Credit Card Accountability Responsibility and Disclosure Act, shortly known as the Credit CARD Act was promulgated by the United States Congress on 22nd May, 2009. This is a very comprehensive credit card reform legislation which aims to protect consumers from unfair credit card billing practices. President Barack Obama is of the opinion that this law will provide reliable and much needed protection to the consumers. He added that continuous efforts will be put to reform the system with due emphasis on accountability, transparency and mutual responsibility. The main aim is to establish fundamental values for the economy. Under this act, the lending institutions are required to be more upfront regarding their fees and due dates for payments. The law mandates that the due date must fall on the same date every month and the cut off time must be 5 pm or later. Double-cycle billing, where rate of interest is charged for both the previous and the current balance, has been banned by the law. Whatsoever, here we discuss the basics what the new rules mean to you. Now the issuers of the credit cards are mandatorily required to give 45-day notice to the card holders in case of significant changes to the terms of the card. This includes rise in the rate of interest and changes in certain fees such as annual or late fees. Moreover, you should be provided the option to cancel your credit card before such changes materialize in reality. Your monthly credit card bill must be mailed to you at least 21 days before the due date. Moreover, there should be a consistent due date of monthly payment. Moreover, the mail should also contain information regarding how much time it will take to pay off your debts in full if you make the minimum payments only and how much monthly payment you are required to make in case you want to pay off your debts within 3 years. Usually, if you have already opened an account, the credit card issuing companies can't raise the rate of interest. Again, after the first one year, rate increases are applicable to only new charges. However, by this law, you would not get an increase for the late payments that are within 60 days of the due date or for late payments to other creditors. The new law has shown way to unwanted over-the-limit fees and many other common charges. Under the new law, if you make a transaction that exceeds your credit card limit, it must be turned down by your credit card company, unless you request your credit card issuing company to allow such transactions. This implies that over-the-limit fees are a thing of the past unless you specifically tell it your credit card issuer. Again, the credit card issuers can impose interest charges on the balances only in the current cycle. 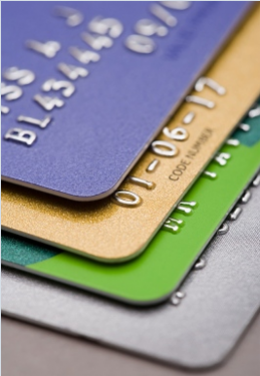 This law has been enacted keeping in mind the interest the credit card holders. This will certainly protect the consumers from unfair credit biling practices.